Disclaimer: The information contained within this blog post does not constitute medical advice and is for informational purposes only. While I have a PhD, I am not a licensed medical professional. Any questions you have regarding your health should be discussed with your treating physician. Pharmacogenomics, or drug-gene testing (genetic testing for short), for psychiatric medications is relatively new. Its use in patient treatment plans has been slowly gaining traction in the medical community since about 2016. 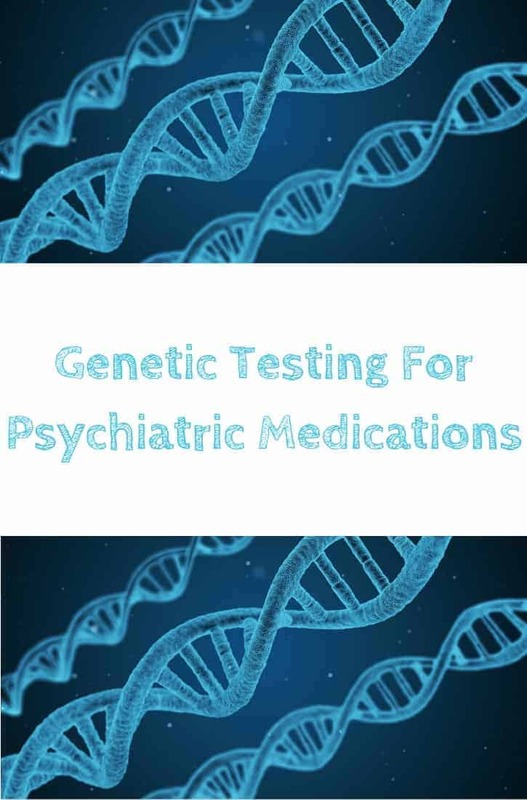 Genetic testing for psychiatric medications is an example of personalized medicine, or medicine that is tailored to your individual genetic makeup. This type of testing only needs to be performed once because your genetic makeup doesn’t change over time – it’s what you were born with. Genetic testing can help determine how likely a medication will work for you, what the best dose range of the medication might be, and if you could have serious side effects. The biggest advantage of this type of testing however, is that it can drastically shorten the traditional trial-and-error process that is often used to find the correct medication for a mental illness. This trial-and-error process often takes several years, during which many people become disabled from their condition or worse, commit suicide. An additional frustration is that all of these medications come with the possibility of serious start-up, long-term, and withdrawal side effects, many of which still aren’t acknowledged by the medical community. The traditional trial-and-error process of tapering up and withdrawing from several different medications in an attempt to find the right one is emotionally, psychologically, and physically draining on the body and the mind. 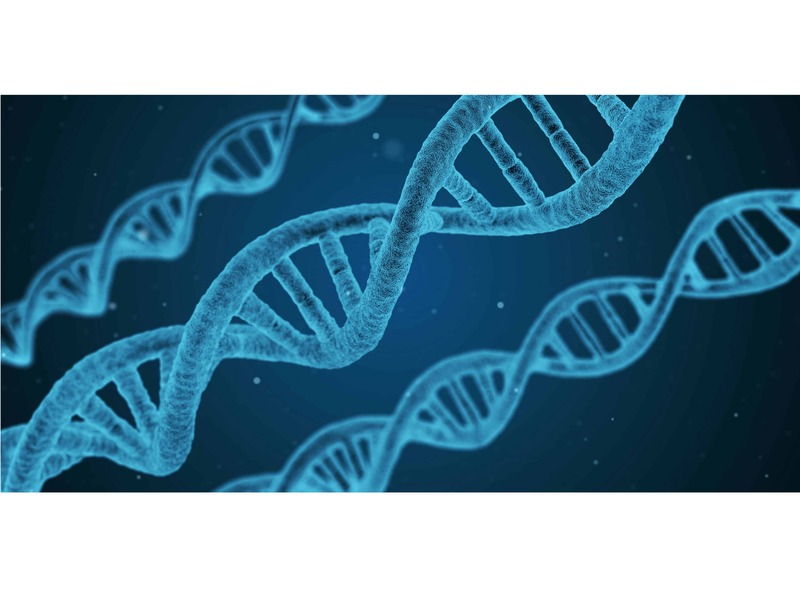 Genetic testing helps to take some of the guesswork out of determining which medication to prescribe, because it assesses an individual’s genes and the variants they might have, which in turn dictates which medications are compatible with their body. It is important to note that this test is not foolproof, and it is not yet approved by the FDA (re: your insurance might not cover it). But I, and several of my friends, have used this testing service with success. In this post I will talk about the basic science, the main companies offering genetic testing that I am familiar with, and my experience with it. 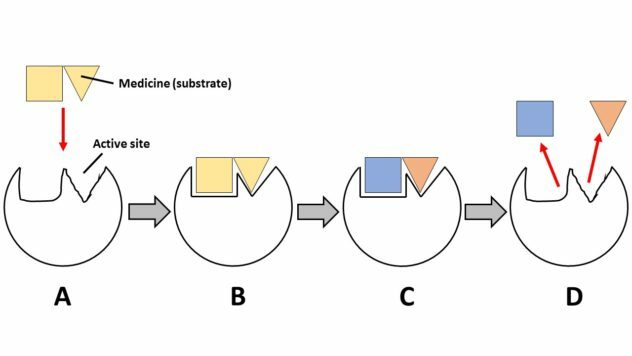 When acting as a substrate, this just simply means that the medication binds to an active site on an enzyme, gets transformed into products that the body can use, and then the products unbind from the active site (Figure 1). Figure 1. A schematic showing the steps involved in the binding and transformation of a substrate (in this case, a psychiatric medication). (A) Substrate enters the active site of an enzyme. (B) Substrate binds with the enzyme forming a substrate/enzyme complex. (C) Substrate/enzyme complex is transformed into the products forming a product/enzyme complex. (D) Products unbind from the enzyme. Inhibition of an enzyme by a substance decreases its activity. 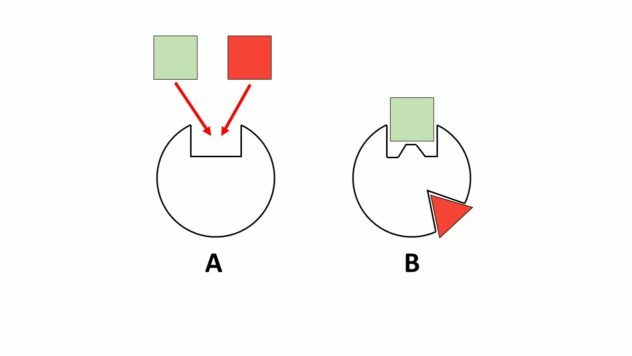 In the case of inhibition, it can either be competitive or non-competitive (Figure 2). Competitive inhibition is when two substances compete for the same active site on an enzyme. Non-competitive inhibition is when one substance binds to another non-active site on the enzyme that results in a conformation change in the enzyme’s shape which then affects the adsorption of the second substance at the active site. Either way, inhibition slows down (or inhibits) drug metabolism, leading to an increased drug effect. Figure 2. A schematic showing the difference between competitive (A) and non-competitive (B) enzyme inhibition. In competitive inhibition, two substances compete for the same active site. The inhibiting substance binds to the active site preventing the medication from being able to bind and be transformed into usable products. In non-competitive inhibition, the inhibiting substance binds to another non-active site, leading to a conformational change in the enzyme shape. This prevents proper binding of the medication at the active site. Induction of an enzyme by a substance increases its activity. Induction speeds up (or induces) drug metabolism, leading to a decreased drug effect. There’s really no cartoon for this, but there is an analogy. Think of a paper shredder. Normal operation of the paper shredder (enzyme) might be putting in 1 or 2 pieces of letter size paper (substrate). The resulting shreds are the product. Now, if you were to try and shred 6 sheets of paper at the same time, you would notice a change in the sound (usually lower pitch) as the paper shredder motor slows down as it attempts to shred so much material. Here, the 6 sheets of paper act as an inhibitor. As the shredder gets more and more bogged down, it processes less material over time. Now, if you were to try and shred a few receipts, which are on very thin paper, you would also notice a change in the sound (higher pitch) as the paper shredder motor speeds up. Here, the receipts act as an inducer. The activity of the enzyme in this analogy is the speed of the paper shredder motor. Now, to make things more confusing, medications can act as a substrate AND as an inhibitor or inducer. For example, Prozac (fluoxetine) is both a substrate and an inhibitor of CYP2D6. What this means, is that under normal circumstances and in the absence of any other medications or substances competing for the active sites on a CYP2D6 enzyme, Prozac will act as a substrate and be metabolized accordingly. If however, Prozac and dextromethorphan (a cough supresssant) are taken together, the Prozac acts as an inhibitor of CYP2D6. What this means, is that you will end up with increased levels of dextromethorphan in your body. In fact, if you navigate to the WebMD Drug Interaction Checker and look up any possible drug-drug interactions between these two medications, you will see that a severe interaction exists. It is also worth pointing out here too, that the level of induction or inhibition can also be dose dependent. In the case of Zoloft (sertraline), it acts as a mild inhibitor of CYP2D6 at lower doses, and a potent inhibitor at the higher doses. There are many more examples of this, but I just wanted to point out a common one to illustrate why drug-drug interactions exist. What’s important to understand here, is that medications can act as substrates, inhibitors, and inducers. Both companies have the same testing procedure. You go to your doctor (who must be registered with the company in order to be able to administer the test), collect your sample by swabbing the inside of your cheek for about a minute, the doctor ships your sample to the company for analysis, the doctor gets an electronic copy of the report within a week. Your doctor will then interpret the report, and then follow-up with you to discuss your results. You can obtain a copy of the report from your doctor for your records as well. Because this type of testing is not yet cleared and approved by the FDA and is considered experimental by many health insurance companies, it can be hard to get it covered through insurance. You can of course always appeal the insurance company’s decision to try and get it covered, especially if you have tried several medications in the past which have failed to manage your illness. In general, the cost estimates are about the same between the two companies. Both companies have a page or two detailing how the cost of the test is determined, and how much you might expect to pay. Genomind: cost estimates can be found here. GeneSight: cost estimates can be found here. This is where the main differences arise between the two companies as the reporting styles are very different. Genomind: The test analyzes both pharmacodynamic (12) and pharmacokinetic (6) genes, for a total of 18 different genes. Pharmacodynamic genes indicate the effect of a drug on the body and can inform medication selection. Pharmacokinetic genes indicate the effect of the body on the medication via metabolism and can inform drug dosage. A complete list of the tested genes, along with their physiological role, mutation, and treatment impacts, can be found on their website. GeneSight: Their test also analyzes both pharmacodynamic (4) and pharmacokinetic (8) genes, for a total of 12 different genes. A sample report showing what they test for can be found on their website. Genomind tests for more pharmacodynamic genes, which helps to form a more complete picture of your mental health. While the information contained in the GeneSight report is more user friendly from a patient perspective, the report from Genomind is more comprehensive from a clinical perspective and gives a more complete picture. I think the information in the Genomind report is laid out better than the Genesight report, in terms of grouping key pieces of information together. Like most people on this type of journey, my medication journey had several failures. It took a total of five medication trials in order to find something that sort of works. After trying four different medications to no avail, I started discussing this problem with some of my close friends who are in the same boat, and some of them had the genetic testing done with some level of success. Intrigued, I started doing my own research and I came across the two companies discussed above. After talking things over with my doctor, we decided that it would be a good idea to get the testing done to see what my actual treatment options are, based on my genetics. Since my doctor was registered with Genomind, that is who I did my testing through. To ensure accurate results, I chose to run the study as a blind study. This means that I decided not to write down the different medications that I had tried. The results we received back supported the experiences I had, which gave me some level of confidence in the results. Based on my genetic profile, all of the SSRI medications I had tried were incompatible with my body because one of the genes responsible for metabolizing the drug was not working as well as it should because of a variant I carried. The partial response I received while on Remeron was also explained, because that medication did not have a green check mark by it, which would indicate that it was a good option for me. The testing also saved me from trying four other medications (one a repeat of one I already tried, but at a lower dose). I have since switched to a medication with a green check mark and the response has been more promising. 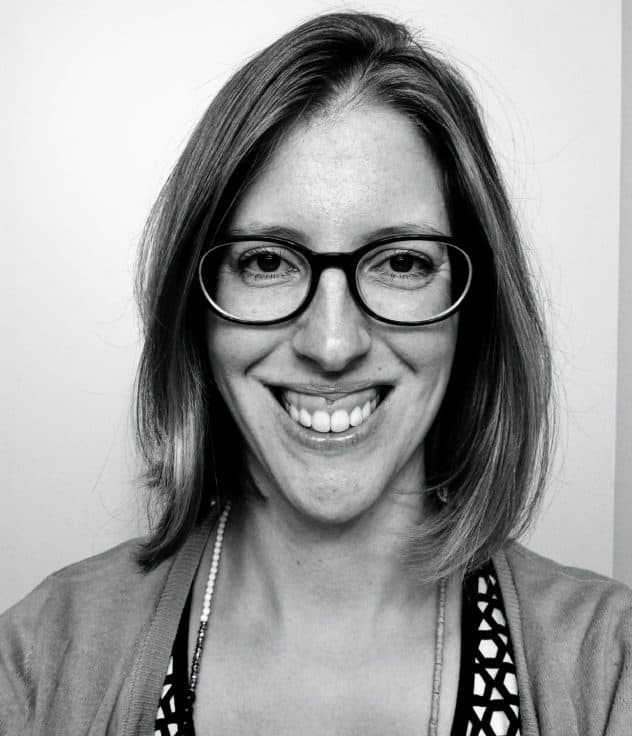 Genetic testing is an often underutilized tool in the treatment of mental illness. With this tool, the traditional trial-and-error process of trying different medications can be shortened, possibly leading to higher remission rates, lower disability rates, and higher job retainment. If you have tried a few medications (I would say one or two) and haven’t had much success in treating your mental illness, I would highly encourage you to speak with your doctor about possibly getting genetic testing done. Dealing with mental illness on a daily basis is enough of a struggle. There’s no need to further aggravate things by submitting to the traditional trial-and-error medication approach when a possibly better solution exists. Otton, S. V., Wu, D., Joffe, R. T., Cheung, S. W., & Sellers, E. M. (1993). Inhibition by fluoxetine of cytochrome P450 2D6 activity. Clinical Pharmacology & Therapeutics, 53(4), 401-409. Sproule, B. A., Otton, S. V., Cheung, S. W., Zhong, X. H., Romach, M. K., & Sellers, E. M. (1997). CYP2D6 inhibition in patients treated with sertraline. Journal of clinical psychopharmacology, 17(2), 102-106. The advances of modern day medicine are just astounding. Not very long ago the practice of Pharmacogenomics was just not something people could really consider and the fact that we can now use findings like this tailored to an individual’s DNA is just amazing. I’m not a medical person by any means but I truly do appreciate the implications for much better health in the future reading posts like this. Thanks for writing this article. This is definitely eye opening to understand the pro and cons of having and living with people who has this condition. Great job! Genetic testing sounds like a wonderful thing. I probably need genetic testing because we still haven’t found the right anxiety medicine for me. I will discuss with my doctor about this. Genetic testing seems like a very interesting topic. It’s amazing how much we don’t know behind the scenes of food preparations and psychiatric medications. This is such a smart idea! I think they should start doing this for all kinds of medicines so that people can avoid ones that will have negative affects on them. This is absolutely amazing! I’ll be interested to see the advances in genetic medicine and testing in the future. I think there is a lot of potential there to solve a lot of medical problems. It is interesting that all SSRI drugs you tried were incompatible with your body! It’s great that we have genetic testing, to prevent poisoning with various drugs that do not suit us. This is really interesting and a great theory worth looking further into. I wonder how this would affect the future of medicine! I think it is a brilliant idea and a powerful option for those in need of such critical care. Medical advances are so fascinating! As someone who has had genetic testing done, your information is so important to spread! Although it’s not FDA approved, I think it’s a really great step forward in mental health care. You’re right, it’s hard to deal with the trial and error process of psychiatric medications. And that’s on top of the mental illness you’re already dealing with! Super well written, very informative! Thank you for sharing!